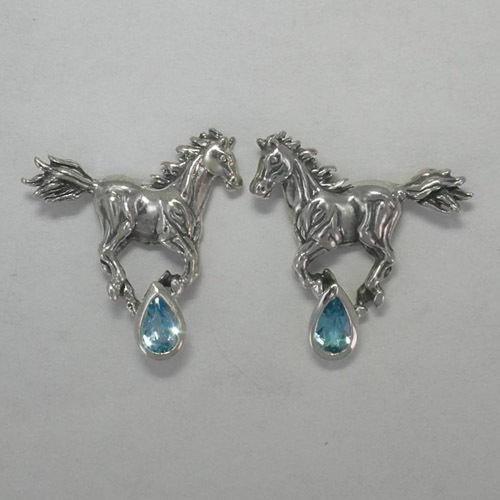 Desc: Sterling Silver galloping horses with Blue Topaz post earrings. Each earring is fashioned to resemble a galloping horse. One pear shaped faceted Blue Topaz is bezel set under each horse in between the front and back legs. The muscles of each horse has antiquing to enhance detail. The earrings have bright polish finishes. These earrings are made in the United States of America.